From the LBC to the LBW, it is time for us to kick off the 2017 camping season. 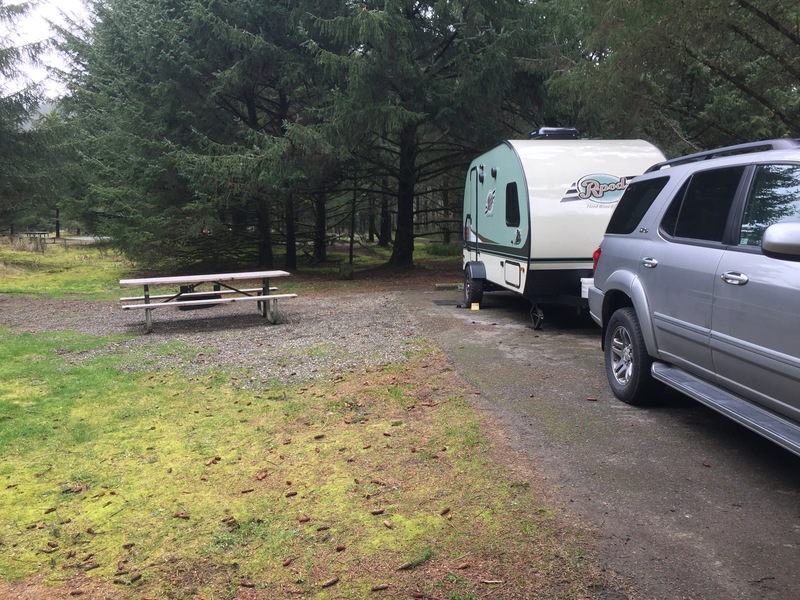 This years first stop is Long Beach, Washington to the site at Cape Disappointment. This area is GORGEOUS even on a cloudy and gray day. Just look at this view – which was just a 2 minute walk from our site! The rain and wind graced us with its presence, so we took off in the car. 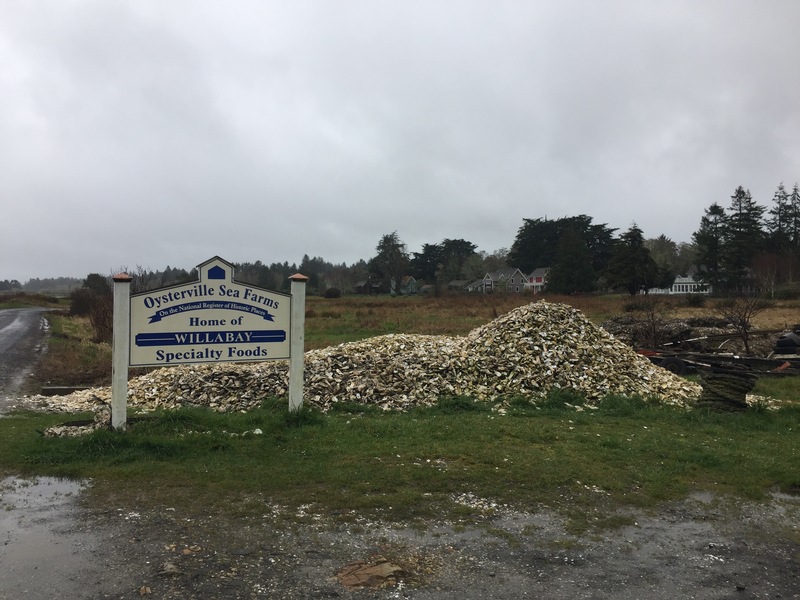 First stop: Oysterville to check out the cool old homes and enjoy a stop at Oysterville Sea Farms. 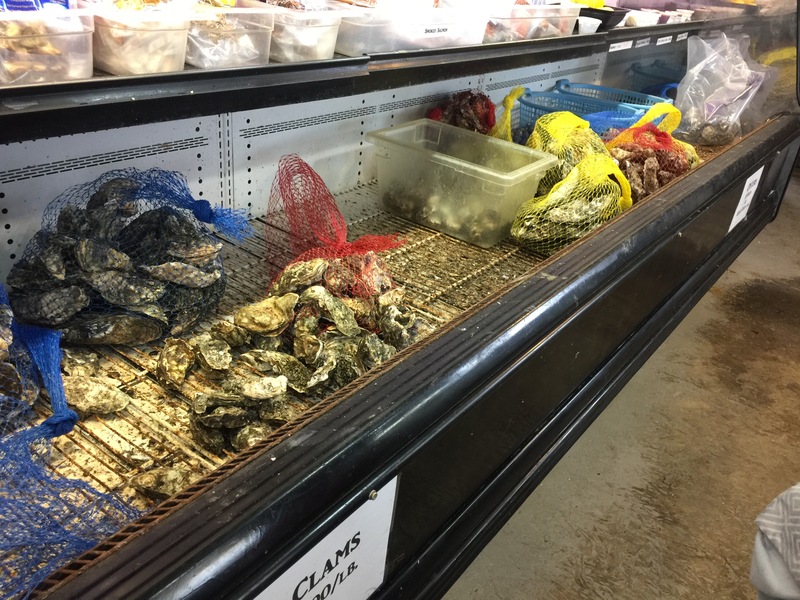 Wow – you can watch the fisherman sort and clean the oysters, then pick them up for dinner! We snagged some goodies and then hopped back in the car to explore Long Beach. 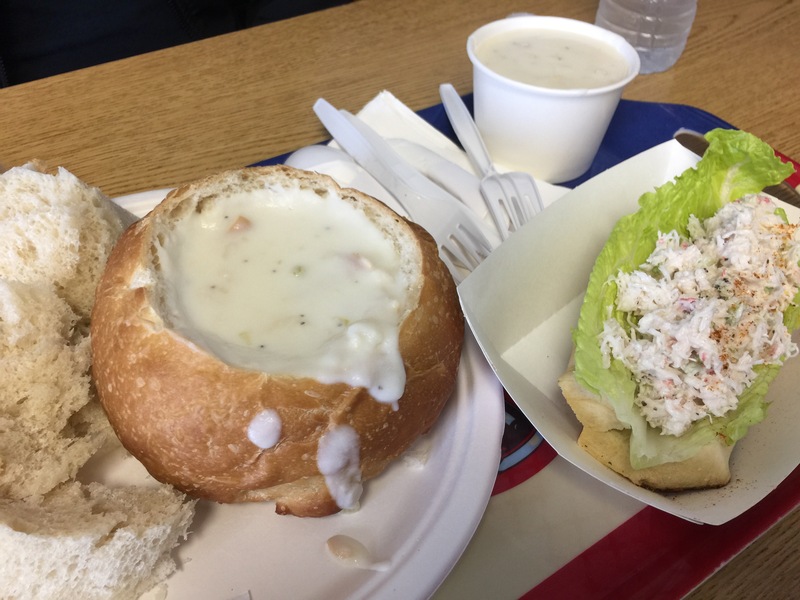 We stopped at Captain Bobs Chowder for lunch where we were treated to huge chunks of clam in a chowder filled bread bowl and a delicious crab roll. Highly recommend for the great food and friendly people. 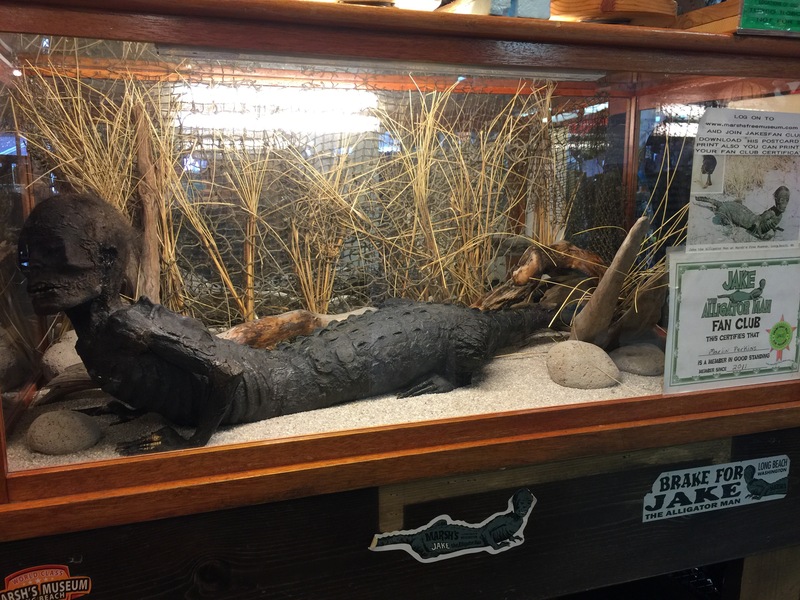 Just next door we paid a visit to Jake the alligator man at Marshes Free Museum. My life feels a little more complete because of this experience. Hint – skip the taffy and opt for an “I break for Jake” bumper sticker. Back to campsite living. 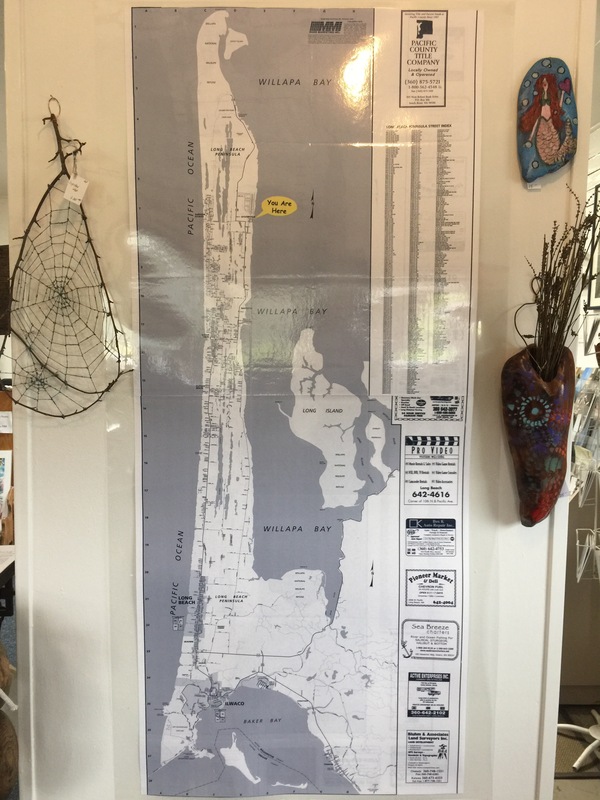 This site is fantastic because you are surrounded by a bay, the Columbia river and the Pacific Ocean! 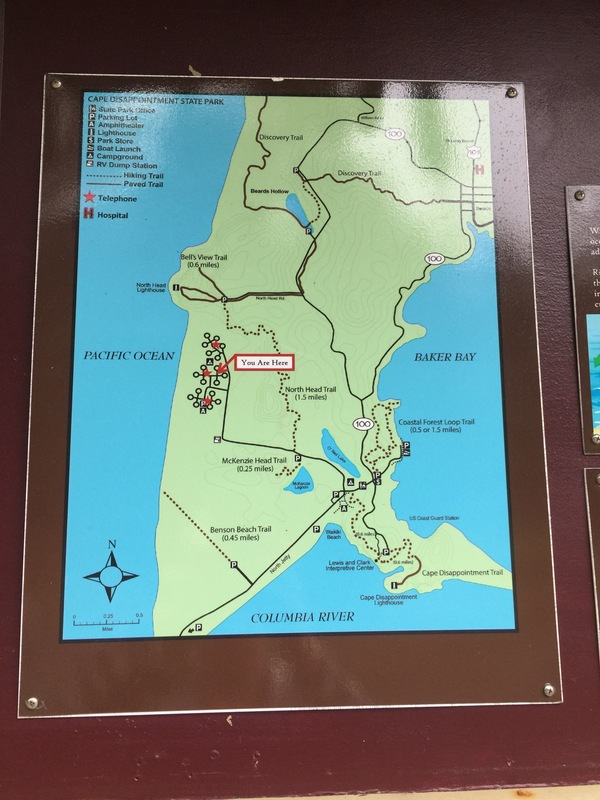 Lighthouses and fantastic hiking trails abound. Waikiki beach was our first stop on the way up to the lighthouse via their well maintained trail system. Our kiddo had different plan so we turned around half way, but we still made it to one of the lookouts over the ocean. Back at the camper we decided to move our planned dinner and dessert inside. Matt’s famous hamburgers first followed by an inaugural recipe of campfire churros. 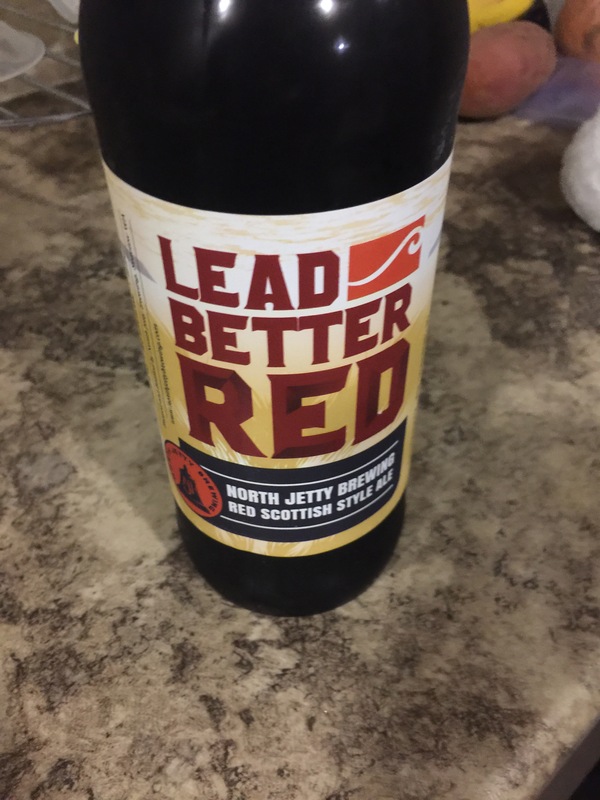 We also sampled the local beer – and I’m impressed! Really delicious! 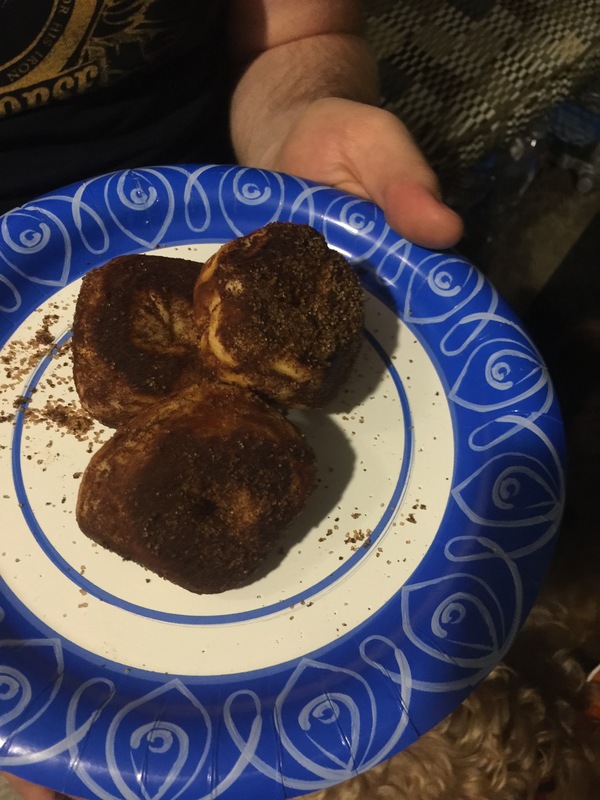 All you need for the churros is a tube of biscuit mix, butter and a bag of cinnamon and sugar. 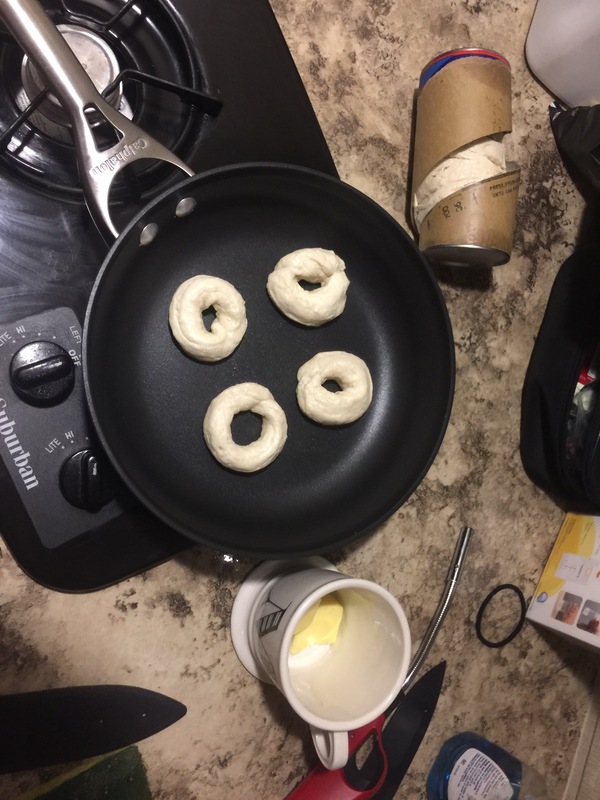 Traditionally, you would wrap half of a biscuit around a campfire stick and toast it to perfection over a fire. It turned out a little more Cajun than I like on the stove. 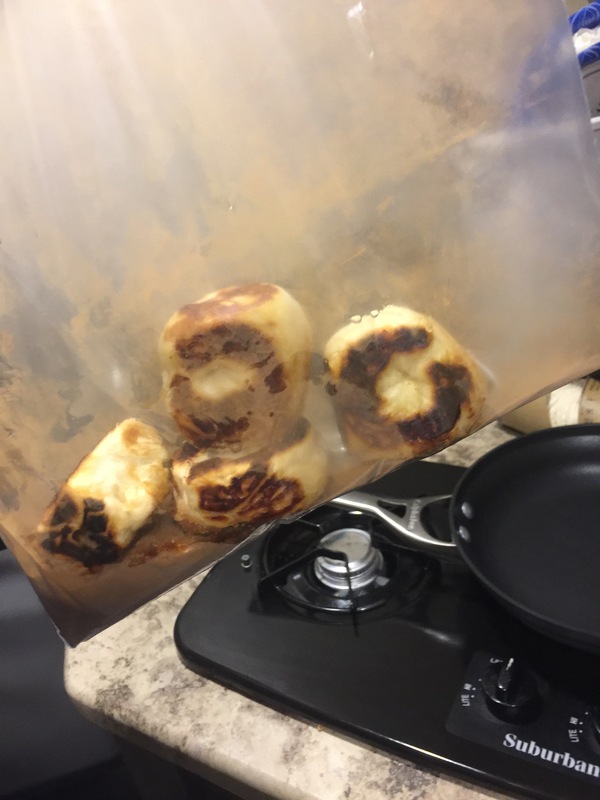 A quick jump into a cup of butter then into the sugar bag. A few shakes and voila! We rate this a 3/5 for inside cooking. It’s probably better over the fire. We decided we need to come back to this site for a longer stay sometime soon. 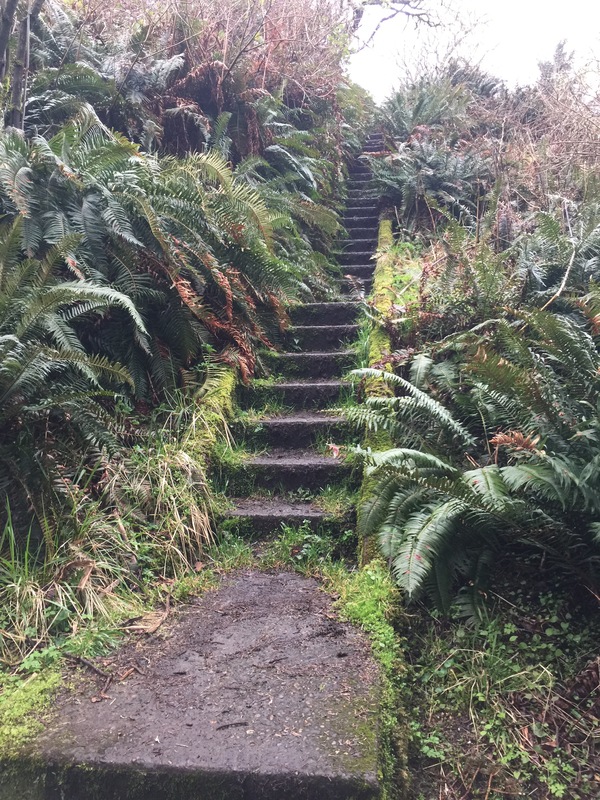 There’s A LOT of standing water around so summer is probably mosquito-ville so maybe a little later in the spring. Campsites 16 and 17 seem to be the money spots along the ocean so we will aim for that, although all of th sites are great and within walking distance of one of the bodies of water. 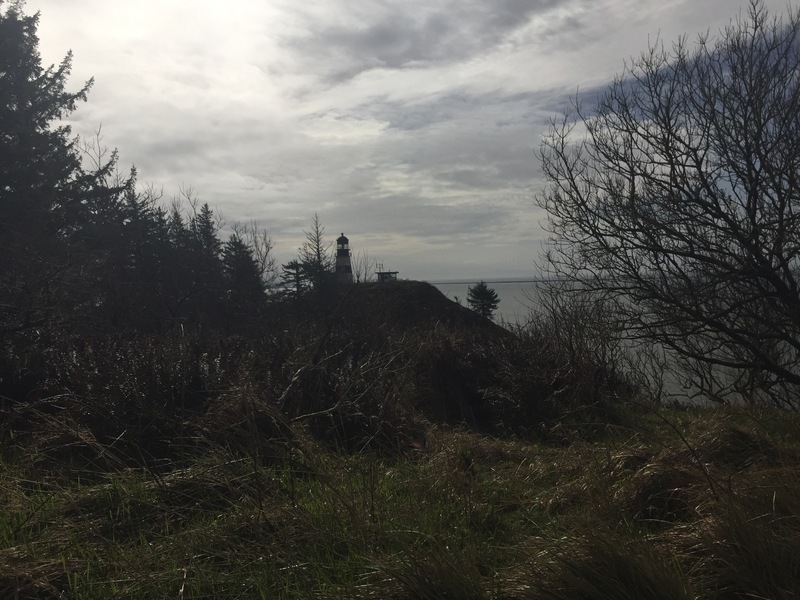 Highly recommend Cape Disappointment! Now back home to plan the next trip!